Concealed in Door Track Arm Door Closer with Hold Open for Interior doors. UL and ULC listed with regular arm for self-closing doors. 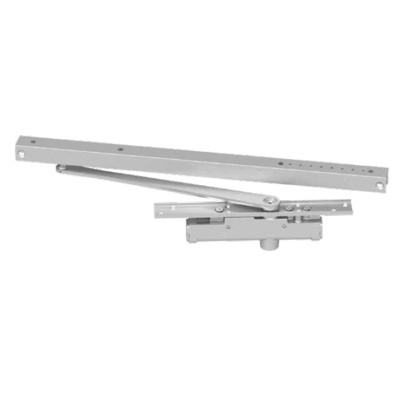 The cylinder and standard arm are concealed in top rail of door. The track is concealed in the head frame. Interior Doors from 34" to 38"
Adjustable Hold-Open Points from 85° to 100°. Door closers are crucial to the safety and efficiency of an opening. The LCN closers will ensure complete satisfaction while enhancing the quality of your facility. This 3133 closer is concealed and supplied standard with a standard arm, standard track and wood and machine screws. It will fit doors with a thickness of 1-3/4”.